An intriguing look inside the hippie movement, the 1960s counterculture that brought peace, drugs, and free love across the United States. 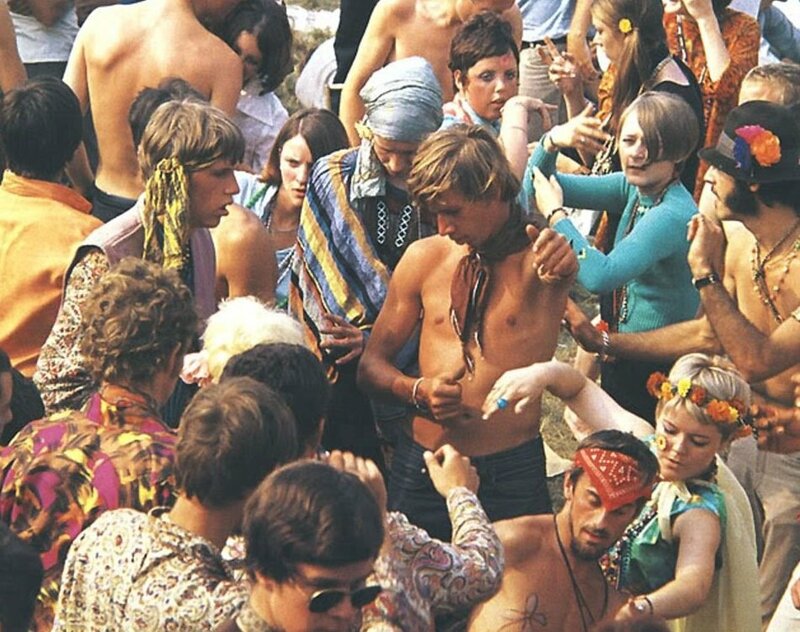 In the mid-1960s, a never before seen hippie counter-culture blossomed throughout the United States, inciting both the Flower Power movement as well as the general revulsion of more straight-laced, Ward Cleaver-esque Americans. 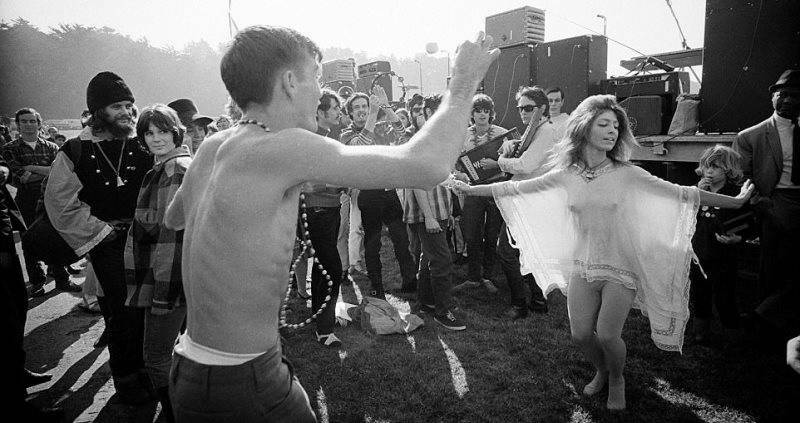 No longer wanting to keep up with the Joneses or confine themselves to white picket-fenced corrals of repressive and Puritanical sexual norms, these fresh-faced masses would soon come to be known as Hippies. 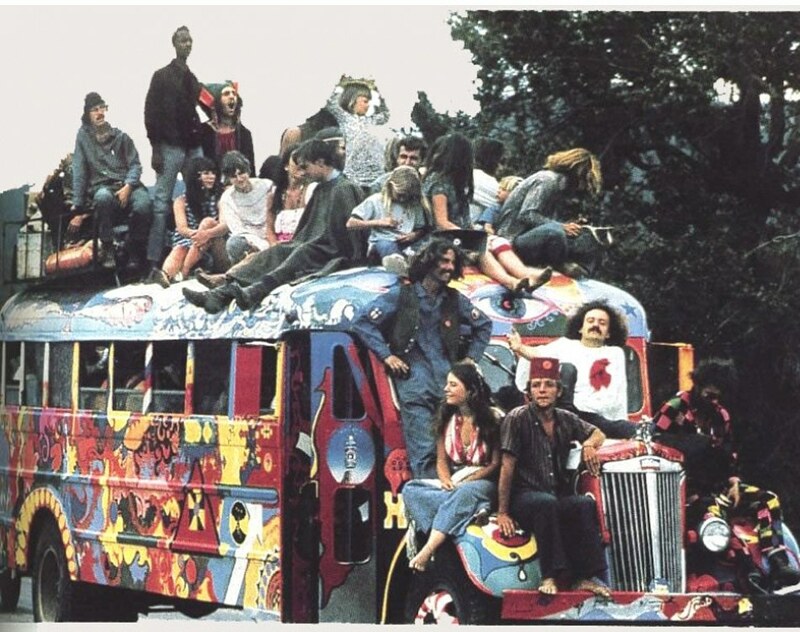 Originally taken from ‘Hipster’, the term ‘hippie’ was used to describe beatniks who found their technicolor heart in the Haight-Ashbury district of San Francisco; children of the road who believed they should make love, not war. Their vocal opposition to the United States’ involvement in the Vietnam War and the increasingly rocky road to shared civil rights among all Americans led to this new, alternative form of activism. 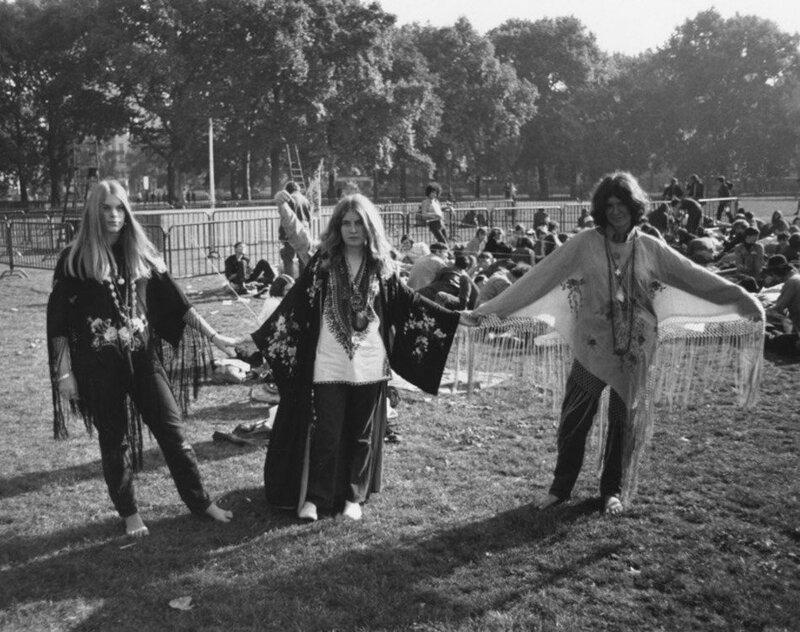 Donning psychedelic floral clothing and growing beards that rivaled Rasputin’s in length all became part of the evolving counter-culture in the hippie era. With this also came a new epoch of fashion, film and literature; one which would grow out of the San Francisco valley and spill into the daily lives of the masses at home and abroad within the span of a couple of years. 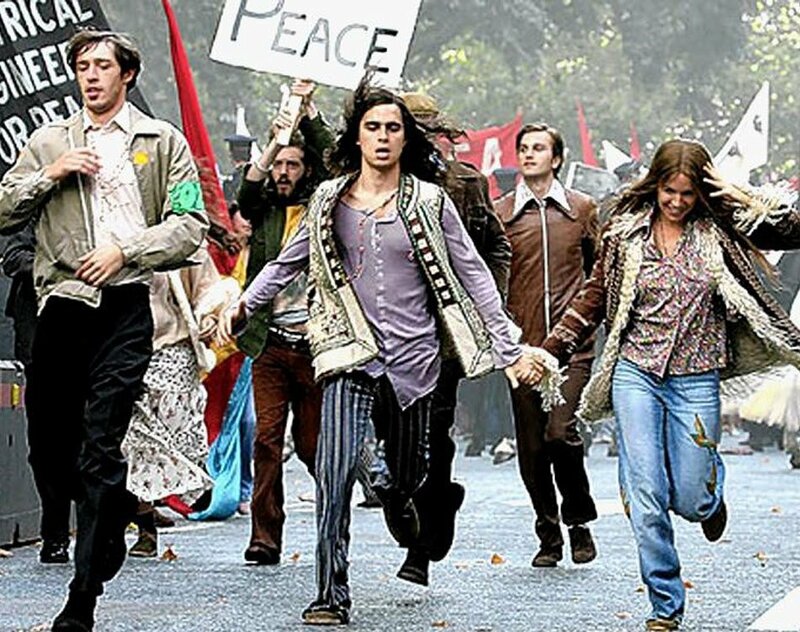 But the hippies weren’t just about experimentation and trouser flares. As mentioned previously, the concept of Flower Power also emerged as a passive resistance to the Vietnam War during the late 1960s. The beat poet Allen Ginsberg coined the expression in 1965 as a way for people to turn war into peace.